When Orrin Porter Rockwell died of a heart attack in 1878, his name was as well known as Brigham Young's. Cowboys sand song about him, and newspapers had frequently printed scandalous accounts about the malicious Mormon "destroying angel." But to men, Rockwell was a guardian angel, and it could be easily said he saved far more lives than he took. He was called a saint and a sinner, a lawman and a criminal, a hero and a villain. Although his death by natural causes likely disappointed the many outlaws seeking his life, it also fulfilled a prophecy given by Joseph Smith that no bullet or blade would ever harm Porter Rockwell. A friend of Joseph Smith's since childhood and later his bodyguard, Rockwell saved the life of the Prophet more than once. 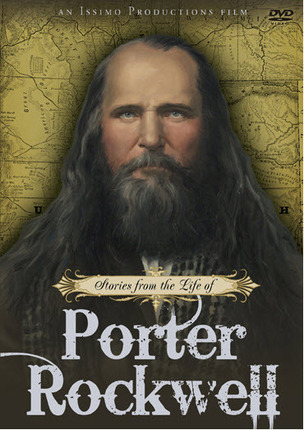 Porter also served as a bodyguard to Brigham Young. He became a legend as a frontiersman, a marksman, and a man of iron nerve. And though many outsiders characterized Porter Rockwell as a notorious vengeful murderer, those who knew him saw a protector, a miraculous healer, and a loyal friend. In this insightful and entertaining DVD you will come to know and better understand this colorful figure from Church history. This documentary was a good idea. I wanted to embrace it, but my hopes discipated when Will Bagley began expressing views. I simply don't trust his scholarship. His erroneous criticisms of Brigham Young in a recent book led me to lose any regard for his thinking. I was pleasantly surprised with the balance of opinion in this movie, about whether Mr. Rockwell was ultimately a good guy or a bad guy (or both!). The volley of opinions going back and forth was a lot of fun, and I felt like I was in good hands with qualified historians, authors, professors, and even a descendent (John Rockwell) telling me all about this rich history. 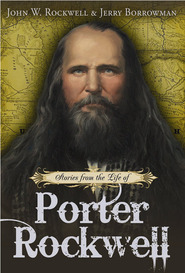 I learned so many interesting—and unexpected—facts about Porter, like how he was friends with Joseph Smith as a boy, invented some brilliant gun modifications, and even took part in the Gold Rush. I wish I was as cool as him! The filmmakers did a great job weaving a story together that is derived from small tidbits of information here and there. Though there was no bold statement telling me exactly who Porter was, I feel like I received enough evidence from both sides to make my own opinion. Half of the fun of talking about a guy like Rockwell is having a different opinion than everyone you talk to; this documentary makes these discussions as fun as ever. At the end of the day, although there were some dark things in Rockwell's life, I felt like this was ultimately a transcendent story that inspires one to be a better person and to perhaps look at other people with more understanding and acceptance despite their potentially tainted pasts. I'm a big fan of action, so I was pleased with how the historical recreations had their fair share of gun shooting. And it's pretty tame violence, so I found it to be family appropriate. The interviews and historical recreations look good and played well together. Overall I'd say this is a fun movie that's definitely worth the watch. I feel like I got my money's worth in entertainment and cool facts by the end so it gets my recommendation. Overall love the documentary. Not always a fan of docs, but this is one exception. 1. Porter Rockwell is a stud! 2. 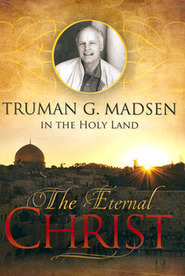 Great portrayal of a man of a man of faith and a man of action. 3. Conflicting opinions in the interviews - love the clash between the grandson and Bagley. 4. Awesome soundtrack. One song sounded like it came from "The Good, The Bad and the Ugly." 5. Unlike some shows, the best scenes weren't all shown during the half-hour viewing after Conference. 6. I couldn't stop watching it. Held my interest and my kids stayed glued even if it was about church stuff it was entertaining. 1. I would like to have seen more historical images of Porter. 2. This may seem knit-picky but the cover design doesn't match the DVD menu and screens in the film. 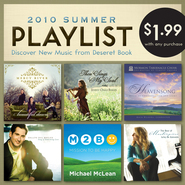 It does match the book and audio CD (which I also now own [the DVD is my favorite]). Not a big deal. 1. Cover says about an hour, but it actually is closer to 50 minutes. I want my 10 minutes! This is the best biographical documentary having to do with Mormon history that I have ever seen. Because it is not a narrative film similar to Joseph Smith, the educational value of listening to real experts explain what really happened is priceless. However, I was more than impressed with the reenactment footage and the entertainment value of both the man represented and the film itself were through the roof. This is the new crown jewel of my DVD collection.